Disney's live-action remake of Mulan is reportedly set to begin production early next year and filming locations have been revealed. The news comes after it was announced that the live-action remake was getting pushed back to a 2019 release date as opposed to the original November 2018 release date. Many have attributed the delay to a lack of casting announcements, but that is unverified at the moment. The Disney D23 Expo announced casting for the live-action Aladdin and many assumed that some information would have been announced for Mulan at D23, but the only thing that was confirmed was that the movie had been pushed back. While Mulan seems to have taken a backseat lately, a new report suggests that production is due to start soon. Omega Underground reports that production is set to start in late January of 2018 and that shooting will take place in China, New Zealand, and Australia. The news will surely be comforting to Mulan fans as this means that the movie is in full swing. A new release date is expected to be announced soon along with a cast announcement. Now that the production is scheduled to start, a casting announcement should come down very soon. The live-action remake came under fire last fall when rumors suggested Disney was seeking a white male for the lead character instead of using a Chinese actor. But Disney soon debunked the rumor and revealed that the cast, or at least the main roles, will be filled by Chinese actors. Director Niko Caro revealed that the story will be a "muscular piece of girly martial arts extravaganza in China," which definitely sounds promising, but that bit of information was announced back in March of this year. In addition, Caro also mentioned that she and her 9-year old daughter will take martial arts lessons together to prepare for the project. Omega Underground also reports that production has put out a casting call looking for a Chinese actress who can speak both Mandarin and English in late 2016, which echoes the idea that Caro put out about the Mulan cast being culturally authentic by having Chinese actors in the movie. 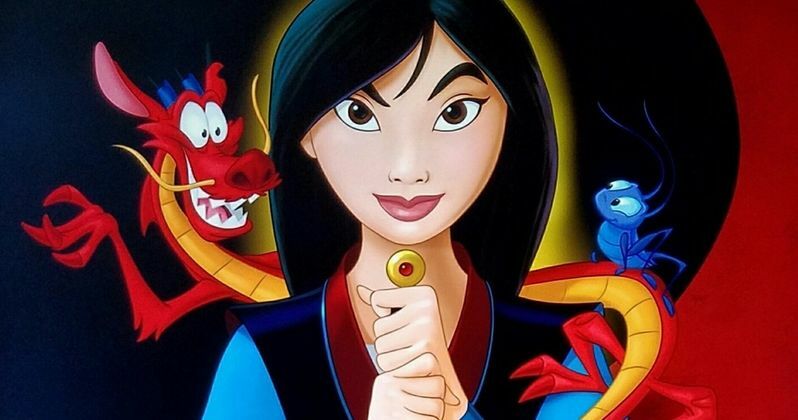 Original Mulan voice actress, Ming-Na Wen, has expressed interest in acting in the movie, but nothing has been officially confirmed by Disney or Wen at this point in time. Caro has also stressed that in addition to staying culturally relevant, the live-action remake of Mulan will also rely heavily on music. Music is large part of the original 1998 cartoon version of the movie. The main voice was portrayed by Wen, but the singing was completed by Broadway star Lea Salonga. Regardless of cast choices, the actors and actresses will have to have some kind of singing background, martial arts background, and speak two languages... is it really any wonder why the movie got pushed back? Disney is basically looking for the most talented people on the planet to star in the live action remake of Mulan.